We can provide all your require to professionally pack your valued possessions. 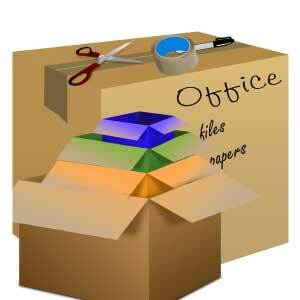 Leave the packing of your home or office belongings to the experts. Brisbane Removalists is the trusted name in professional packing of small, medium, and big items for removal. When you choose Brisbane Removalists, you can decide to either have us pack your belongings or wrap them yourself. If you choose to do the packing, we’ll be happy to recommend some packaging materials for you, including boxes and tapes, which we offer for a minimal price. On the other hand, when you let us handle the packing, you can rest assured that your possessions will be packed professionally. We believe in our high standard of work, so much so that we can warrant to pay in case any of your belongings becomes damaged or broken during the moving process. We assure you that we will pay instantaneously for its repair! – Ts&Cs can be viewed here. 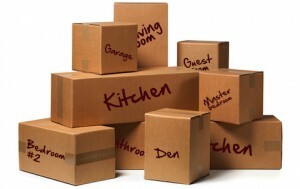 Quality moving boxes – we highly recommend boxes made of corrugated cardboard. We’ve tried and tested them a hundred times before! Also, it’s best to get boxes with varying sizes. Packaging tape – once you close the box and tape it, apply another tape for a stronger seal. The bottom of the boxes must be cross-taped so the boxes don’t open up easily. Multi coloured pens and stickers – these are critical items for labelling your goods! Scissors – try to have a couple pairs. You should be able to use this for cutting strings, papers, tapes, and even the boxes if you need to. Zip locks – these bags would totally be useful for storing the smallest items that could easily get lost in the moving process. Read: screws, bolts, keys, nuts, etc. A special bag where you can put all these things together. Label them as “packing materials” to be more organised. Make an inventory of the things you are moving. Make categories to make your packing more structured. Group your stuff together. This makes it easier for you when you pack as well as when you unpack. Prioritise packing the more important items. Put the heavier items in the bottom. This strategy allows for easier carrying while also keeping the smaller items safe from damage. Place your books in smaller boxes where you can easily carry them. Do not pack more than you can carry! Start packing as soon as you have decided that you are moving. Don’t wait until a week before the big day. And aim to complete the packing and wrapping at least one day before your Brisbane removal. Label your boxes as soon as you have packed your things. You have your multi coloured pens and stickers to make this a fun part. Pack things from one room first before moving to another room. Use the multi coloured pens and stickers to label the boxes according to what room they were gathered from. Once you have filled a box, make a list of its contents. Create a Master List of all the boxes and utilise this list when you unpack. Snacks, coffee/tea/milk, cups, plates, and utensils. Flashlight, a first aid kit with emergency medicines, resealable plastic bags, and pen and paper. Toiletries, especially if you are moving homes. An overnight bag with all the essentials of the family should also be prepared. Ask your friendly Brisbane Removalists for our range of packing materials and utilise quality tools that experts like us really use!